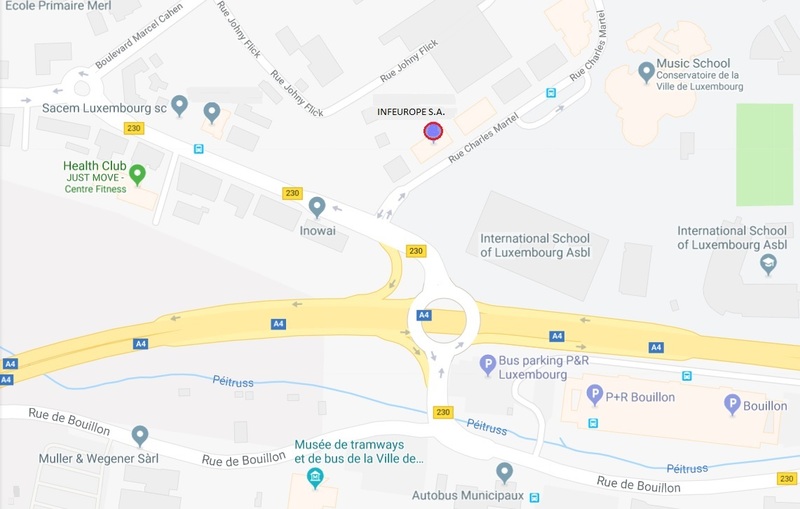 Please note there is free-of-charge (for 24 hours) public car parking at the P&R Bouillon, a 400m walk to the infeurope office. We deliver services in the fields of communications, intellectual property, IT-staffing, semantic web and knowledge management – accross Europe. Our headquarters are in the heart of Luxembourg.